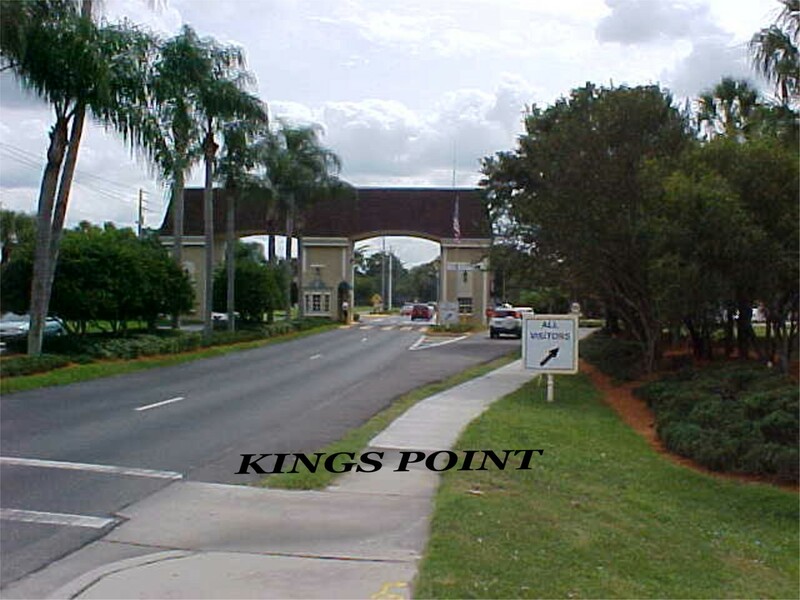 This Website is dedicated to all residents of Kings Point and Greater Sun City Center! 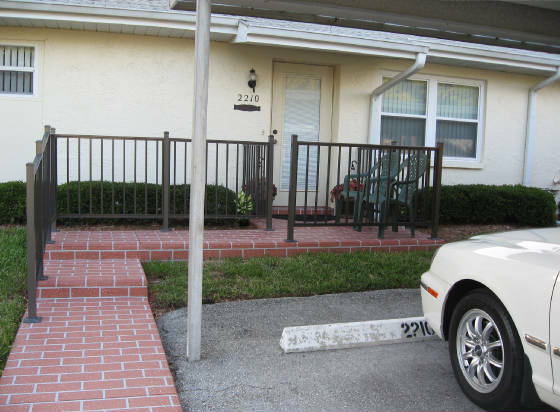 Our Mission: To help preserve the freedom, safety, welfare and dignity, of our residents! Please help sponsor this website by sending a "Link" to all, who are concerned with "Our Mission". This will help us, distribute this important information, to all our Residents in Greater Sun City Center, Florida. Compliments of the S.C.C. Area Chamber of Commerce, the new "GREATER SUN CITY CENTER GOLF CART DRIVERS HANDBOOK", has been published and is ready for distribution. The Greater S.C.C. Golf Cart Drivers Handbook can be picked up at the Chamber of Commerce, unless directed otherwise by the Chamber of Commerce. Home Security, Courtesy: Hillsborough County Sheriffs Office! March 9, 2010: The Golf cart crossing to Wal-Mart, opened with crowds & more than 100 carts in Sun City Center! The carts drove across US 301, (Under the watchful eyes of the Sheriff's Deputies) to Wal-Mart, very happy to finally, legally, get to to Wal-Mart. Our thanks go out to Commissioner Kevin Beckner, who was very instrumental in making this Path to Wal-Mart a reality! Thank you, and the Members of the "Golf carts to Wal-Mart" Stearing Committee, and all others, who made this possible. Please, Golf cart drivers, drive with caution, be careful, drive defensibly, and obey all traffic laws! 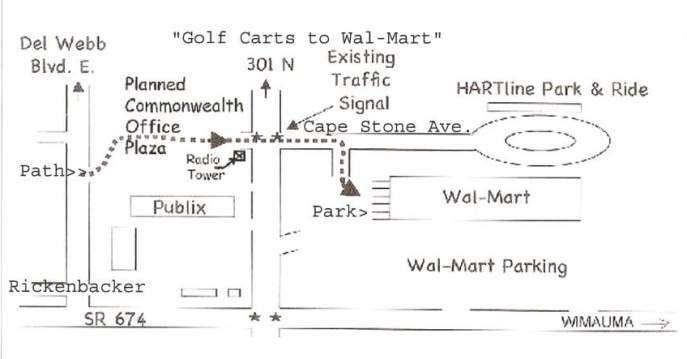 Prove to the people that made this possible, that it was a worthful project, and enhanced your life, by giving you the ability to get to Wal-Mart, in your Golf Cart. "Dedicated Golf Cart Parking Spaces are marked off, near the Flower Area!" At the end of the Golf Cart Parking, There is a Sign that says: "NO GOLF CARTS BEYOND THIS POINT!" Please Respect this Sign! To Activate: Click Links Below! Souped-Up Golf Carts Raise Concerns. Article in "Sun City Center-St Petersburg Times." Driving Golf Carts upon a Sidewalk or Bicycle Path. Click Here to e-Mail Gene! This information is provided to Kings Point and Residents of Sun City Center: as a Reference, guidance and instructional material, for the safe operation of golf carts, in Kings Point and Greater Sun City Center. All information is correct at time of Posting, but things do change and as they do the website has to be updated! So check the website periodically to get the latest Information. Mission: To promote safety for Kings Point Residents in the operation of golf carts on all roads and golf cart paths in Kings Point and Greater Sun City Center. Goal: Provide a safe traffic environment for Kings Point Residents by establishing a set of common sense, golf cart safety regulations. The Kings Point Federation, Board, Membership, COA and W.C.I. 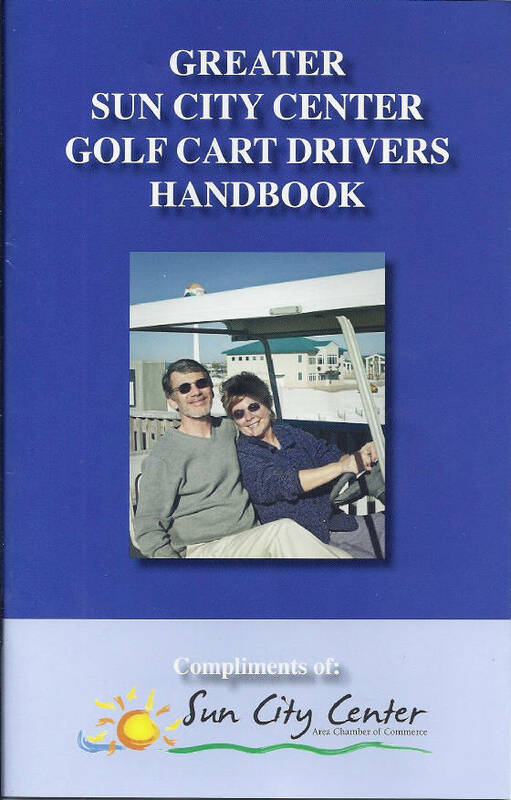 Communities, have approved "The Greater Sun City Center Golf Cart Drivers Handbook", as the official reference manual for the residents of Kings Point. The Federation, with Master Association approval, have entered into an agreement with The Hillsborough County Board of County Commissioners and The Hillsborough County Sheriffs Office: For the Sheriffs Deputies, to have traffic control jurisdiction on all roads in Kings Point. While the Deputies are patrolling our Roads! They will be enforcing The Florida Statutes (Laws) pertaining to "the uniform traffic control laws of the State of Florida. 1) The freedom to use golf carts is a privilige, and lifestyle benefit that must be exercised with being a safe, informed, and responsible driver. 2) As the population grows so do the hazards; A golf cart driver must be a defensive driver, at all times, with full concentration on his/her driving and the existing traffic conditions. 3) Recommendation: Golf carts should not use Pedestrian crosswalk on Kings Blvd. (located at the flashing lights). It is too Dangerous! 4) Driving upon sidewalk or bicycle path: No person shall drive any vehicle other than by human power upon a bicycle path, sidewalk, or sidewalk area. The only exception: Disabled persons using electric scooters ("Little Rascals", etc). They are allowed by the "Federal Disabilities Act." 5) A golf cart must not be operated on roads, or paths by any person under the age of 14. 6) A golf cart, being a slow vehicle must stay in the right lane, unless passing or turning left. 7) Signal before slowing down, stopping, changing lanes, and for 100 ft. before all turns. 8) When you drive a golf cart outside of Kings Point; You must comply with all laws pertaining to operation of golf carts on State and County roads. For your protection, get a Copy of, "The Greater Sun City Center Golf Cart Drivers Handbook." This booklet can be picked up at the "Kings Point Security Gate." 9) To be safe, get Golf Cart Insurance; After an Accident, it is too Late. See your Insurance Agent for the coverage you need! 10) By Federal and Florida Law: The maximum Legal speed of a Golf Cart is 20 MPH! Exceeding 20 MPH may result in you receiving a Traffic Citation and having to go to Court and paying a fine and possible Court Costs! Be Careful and Obey the Law to prevent paying a stiff fine, plus having to go to Court! 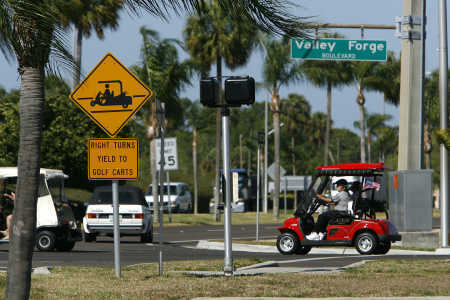 11) Golf Carts are not, under any circumstances, permitted to make a right or left turn on to S.R. 674 or U.S 301. They may however, travel on the designated golf cart path which runs along the south side of S.R. 674, and the north side of S.R. 674 from South Bay Hospital to the Cypress Village Shopping Center parking lot. Golf carts are not allowed at Home Depot! It is not against the law for Pedestrians to use Posted 'Golf Carts Only' Paths, But, please be careful if you do! We are happy to have "Sheriffs Deputy, Jeff Merry" as our New Community Resource Deputy. We are sure He will give us the same dedication and enthusiasm as our past Resource Deputies The Residents of Kings Point understand, that for approximatrly 15 years, Our Resource Deputy's have on the 2nd Tuesday of each Month, in the Kings Point North Clubhouse; Have given an excellent "Safety & Security Seminar". I have been asked by numerous residents in, Kings Point, why the Sheriff's Office stopped this Seminar! I have also been told that the Kings Point North Clubhouse, stopped the Seminar, not the Sheriff's Office, if so, the Residents of Kings Point, want it back! UPDATE! "The Seminar, is again being held, and just as good as ever." Please attend! DRIVING TIPS AS WE AGE (From the Florida Drivers Handbook) Older drivers enjoy the use of their Golf Carts and they handle them with skill. There is no reason why they should not continue to drive as long as they are in good health and keep up-to-date with the Florida Traffic Laws. The passing years, unfortunately, take their toll so gradually that we ourselves are not aware of the change. Deterioration of vision, hearing or reaction develops almost unnoticed until we find ourselves faced with an emergency that we are no longer equipped to handle. 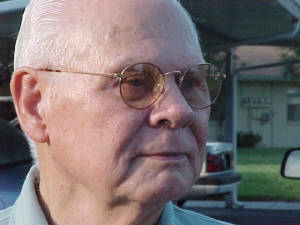 The result is an accident that the driver could easily have averted a few years, or even months, earlier. Frequently reported errors made by older drivers include inattention, failure to drive in the proper lane, and failure to signal or to observe STOP signs and signals. If you have any doubts about your driving ability! Please get (and heed) your Doctor's frank advice!